One of the biggest roadblocks your customer support agents face is not having access to the right information they need to solve a customer issue. The longer it takes your support agents to find solutions to customer issues, the slower your support processes become – which means your customers are waiting longer for answers and your agents are resolving fewer tickets overall. This leads to problems like increases in backlog, longer average wait times, and lower levels of customer satisfaction. In order to deliver fast, effective support to customers, your support team needs real-time access to a huge volume of knowledge. And the best way to ensure your team always has the information they need right at their fingertips? Using a smart internal knowledge base. An internal knowledge base is a content hub that your employees can access for information on just about anything related to their jobs. So, whether a team member is looking up product information to help solve a customer’s issue, reviewing company procedures, or accessing details about their dental benefits, an internal knowledge base provides reliable, comprehensive information. It’s not an overstatement to say that an internal knowledge base is an extremely helpful resource for customer support teams. Unfortunately, there are too many companies still stuck using an outdated intranet – so knowledge bases aren’t as widely used as you would expect. Let’s take a look at how an internal knowledge base can empower and elevate support teams. For starters, an internal knowledge base is a huge step up from the old-school intranets that support teams used to rely on. By keeping all relevant information in one place, a smart internal knowledge base improves productivity, cuts down wait times, and boost customer satisfaction. Faster service means happier customers. Easy access to a vast range of internal knowledge allows your agents to provide fast, efficient service. Instead of digging through complex documentation or passing a customer from agent to agent, your team members can instantly find the data they need to provide a solution. Unlike your typical intranet, a knowledge base is hosted in the cloud and can be accessed on a mobile device. This means team members can use it to search for information on-the-go and answer questions when providing on-site support. An internal knowledge base promotes collaboration by ensuring everyone on your team has up-to-date information on everything they need to know. You can also grant partial access to outside parties when you need to share product information or customer data with a partnering business. An internal knowledge base increases productivity across the board because none of your employees have to waste time searching for answers or digging through documentation. Whatever issues a customer is experiencing, your agents have the resources and knowledge they need to fix it quickly and effectively – no escalation required. Because all of your agents have access to the same information, your customers always receive accurate, consistent answers to their questions. The knowledge base can be updated and edited to include new information and notes about customer experiences. By providing new employees with all the information they need in one place, they’re able to get up to speed more quickly – and without asking their team members for help with every little detail. Internal vs. Public Knowledge Base: Do You Need Both? If you have a public knowledge base already, do you really need an internal one as well? While there’s definitely some overlap in the content contained in both types of knowledge bases, customer support teams perform best when they have access to an internal resource separate from the public one. 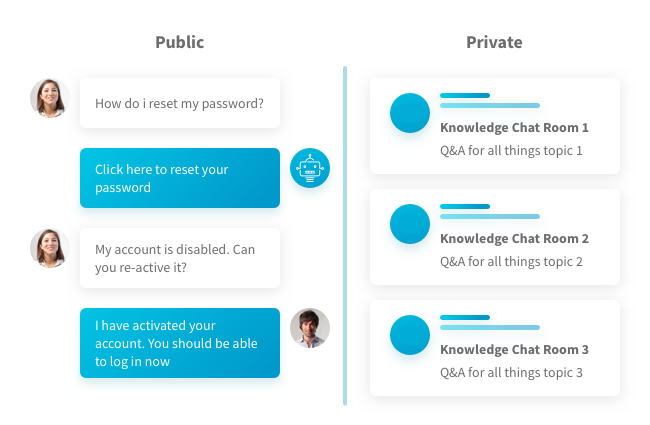 The defining feature of a public knowledge base is that it’s designed for customers – or anyone who wants to learn about your products and services. Most of the content consists of answers to FAQs and solutions to common support issues. It’s available online as a free resource to the public. A public knowledge base can be a powerful self-service resource for your customers. Done well, a public knowledge base diverts some support inquiries away from your agents by giving customers direct access to the information they need. The good news is, if you already have a public knowledge base, you’ve got the perfect starting point for your internal knowledge base. However, an internal knowledge base contains additional sensitive information for employee eyes’ only. Here are a few tips for creating and maintaining an internal knowledge base that your agents will actually want to use. When you first create an internal knowledge base, the amount of information that needs to be covered can make it difficult to know where or how to start. So, begin by listing all of the topics you want to include. Then, you can sort those into high and low priority buckets. Ask team members for their most frequently-asked questions and what topics come up most often on customer calls. This gives you something to start with and if you prioritize those super relevant topics first, then you can expand to build a comprehensive resource. 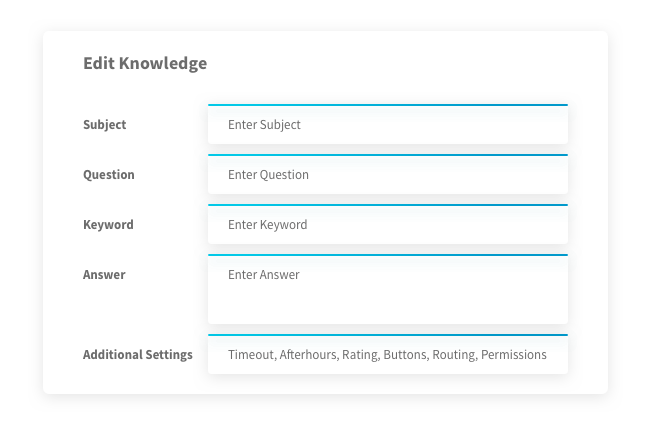 To make the knowledge base as user-friendly as possible, make it as easy to navigate as possible Sort the main topics into categories and use tags and keywords to make it searchable. Break up long sections of text with headers, links to related articles, and bullet points so agents can quickly skim and find the info they need. They say a picture’s worth a thousand words, so don’t hesitate to visual aids whenever it makes sense to do so. An image can help explain a solution more quickly and thoroughly than pages of text. The right screenshot can help agents understand how to implement a solution step-by-step – and they can even share the visual with the customer if they need to see what’s going on. Even once you’ve created a helpful internal knowledge base, it needs to be kept up-to-date with new releases or changes to your products and procedures. So, make an effort to routinely update and refresh the content in your knowledge base. Remove outdated articles, encourage employees to provide feedback, edit content, and flag any inaccuracies they find, and create new entries whenever necessary. Interested in learning more about customer support technology, tools, and best practices? Sign up today to get monthly updates on the latest and greatest tips from our blog, sent straight to your inbox.